There are mountains of misconceptions of what the early Church was really like. Amazingly, the writings of the Apostolic Fathers, the Christian leaders who immediately followed the Apostles, are readily available. 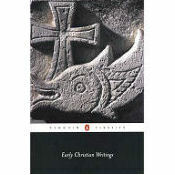 Their writings are the earliest documents we have of the early Church outside of the New Testament itself.